Team colours and coaching staff confirmed in the latest reveal. 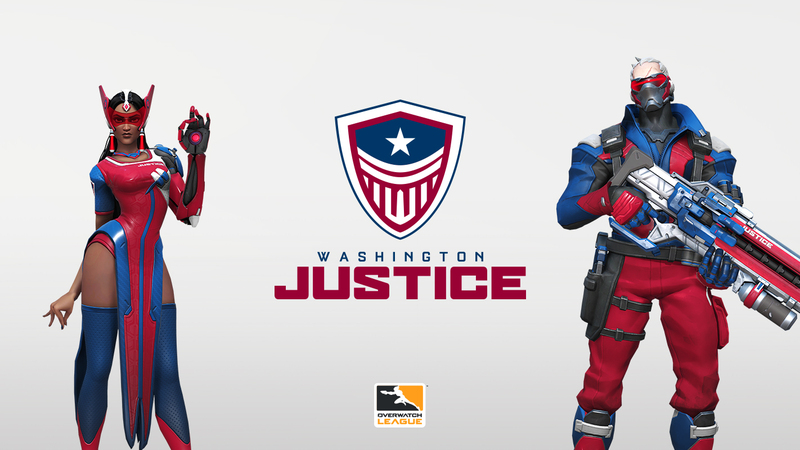 Slowly but surely we're learning the names of the eight new entrants for next year's Overwatch League roster, and today we've been introduced to the Washington Justice. They'll be rocking a distinctly patriotic red, white and blue team colour scheme for their debut in Overwatch's most prestigious competition. “Justice is a universal value and the perfect name for a franchise that we hope will inspire and unite both our Washington area community and fans around the globe,” he began. Alongside the team's performances in the League itself, the new owners have announced their intentions to host plenty of local fan activities in the Washington region. The second season of Overwatch 2019 is due to kick off on February 14th.